1. Promo period: 19 March 2019 – 16 April 2019. 2. Hotel prices are correct at time of publication and are subject to availability and change. Please visit www.Trip.com to confirm availability, prices, and applicable terms and conditions. 3. The pre-discount rate represents the full price for this particular room type. It may differ from the standard retail rate. 4. Hotel cancellation and prepayment policies may vary. Please refer to the relevant hotel policies when booking. 5. Trip.com reserves all rights to final interpretation of this promotion. 6. Hotel stay period: variable between March – September 2019. 1. 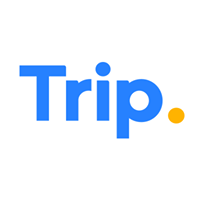 To earn miles and points by booking an eligible hotel room, users must be a member of both Trip.com and the participating third party rewards program. 2. The membership number of the intended recipient of the third party frequent flyer program must be a guest staying at the hotel and the name on their third party membership must match the guest name entered for Room 1 on the hotel booking. 3. Only completed hotel bookings will be eligible to earn miles and points. Miles and points will not be earned for cancellations, modified bookings, no-shows, or chargebacks. 4. Miles and points earned will be credited to the user’s account within 6 weeks after the completion of their stay. 5. Miles and points earned with PointsPLUS may not be redeemed for cash and cannot be earned in conjunction with any other discount or promotional offer. 6. Your personal information may be collected and shared with our loyalty program partners as necessary for rewards or points accumulation. 7. All bookings are subject to Trip.com terms and conditions. 8. Trip.com reserves all rights of final interpretation.